Product prices and availability are accurate as of 2019-04-24 03:12:14 EDT and are subject to change. Any price and availability information displayed on http://www.amazon.com/ at the time of purchase will apply to the purchase of this product. Built in the fifth century b.c., the Parthenon has been venerated for more than two millennia as the West’s ultimate paragon of beauty and proportion. Since the Enlightenment, it has also come to represent our political ideals, the lavish temple to the goddess Athena serving as the model for our most hallowed civic architecture. But how much do the values of those who built the Parthenon truly correspond with our own? And apart from the significance with which we have invested it, what exactly did this marvel of human hands mean to those who made it? 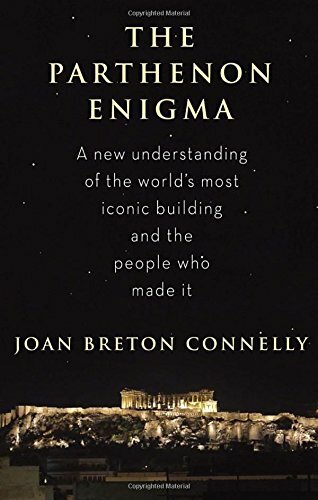 In this revolutionary book, Joan Breton Connelly challenges our most basic assumptions about the Parthenon and the ancient Athenians. Beginning with the natural environment and its rich mythic associations, she re-creates the development of the Acropolis—the Sacred Rock at the heart of the city-state—from its prehistoric origins to its Periklean glory days as a constellation of temples among which the Parthenon stood supreme. In particular, she probes the Parthenon’s legendary frieze: the 525-foot-long relief sculpture that originally encircled the upper reaches before it was partially destroyed by Venetian cannon fire (in the seventeenth century) and most of what remained was shipped off to Britain (in the nineteenth century) among the Elgin marbles. The frieze’s vast enigmatic procession—a dazzling pageant of cavalrymen and elders, musicians and maidens—has for more than two hundred years been thought to represent a scene of annual civic celebration in the birthplace of democracy. 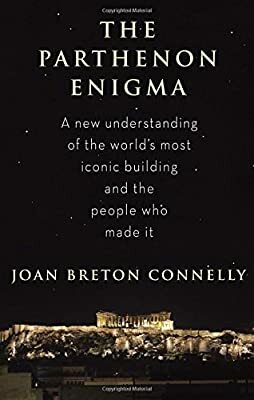 But thanks to a once-lost play by Euripides (the discovery of which, in the wrappings of a Hellenistic Egyptian mummy, is only one of this book’s intriguing adventures), Connelly has uncovered a long-buried meaning, a story of human sacrifice set during the city’s mythic founding. In a society startlingly preoccupied with cult ritual, this story was at the core of what it meant to be Athenian. Connelly reveals a world that beggars our popular notions of Athens as a city of staid philosophers, rationalists, and rhetoricians, a world in which our modern secular conception of democracy would have been simply incomprehensible. The Parthenon’s full significance has been obscured until now owing in no small part, Connelly argues, to the frieze’s dismemberment. And so her investigation concludes with a call to reunite the pieces, in order that what is perhaps the greatest single work of art surviving from antiquity may be viewed more nearly as its makers intended. 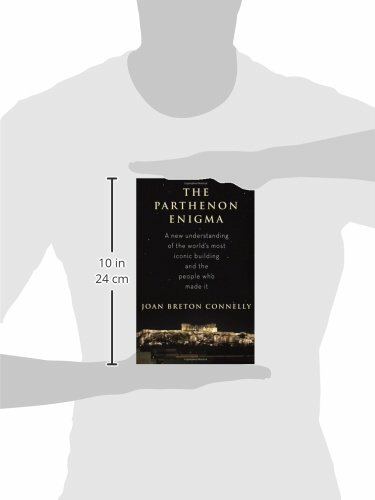 Marshalling a breathtaking range of textual and visual evidence, full of fresh insights woven into a thrilling narrative that brings the distant past to life, The Parthenon Enigma is sure to become a landmark in our understanding of the civilization from which we claim cultural descent.